If you happen to pick up a copy of September – October issue of Lehigh Valley Magazine, flip over to page six for me. 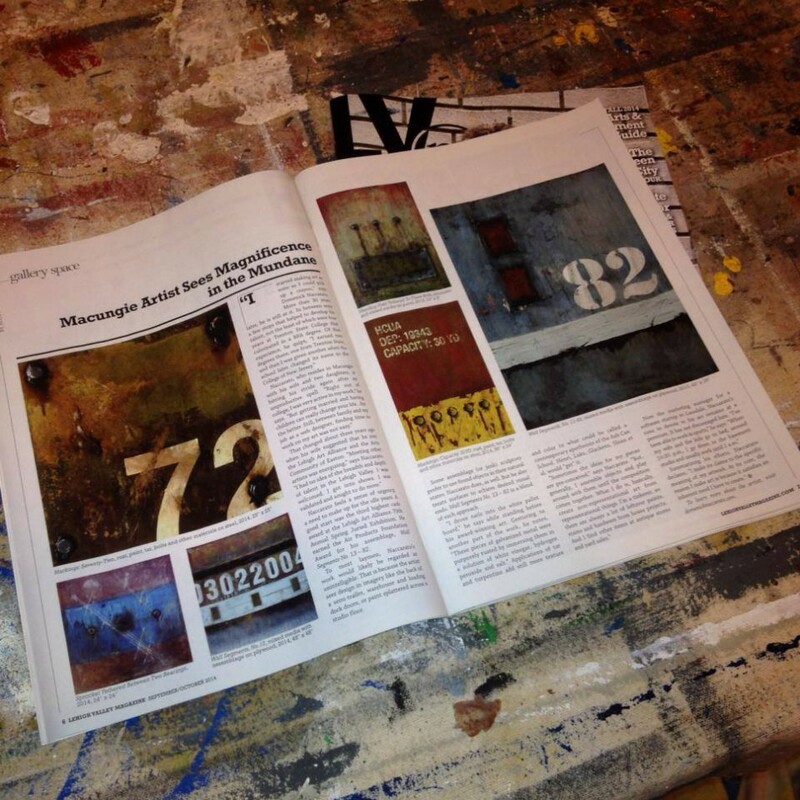 Scott Campbell, who does the bi-monthly art column for the magazine, did an awesome write up about me and my art. We sat down earlier this summer and chatted during the opening of the Lehigh Art Alliance’s spring juried show. I asked him why he was interested in writing a story about me and he told me one reason was because of how different my work is from what else is going on around these parts. Different is good… I like different. This is the first published article of my work… I’m both humbled and honored.